As elsewhere, the colonials adopted the “divide-and-rule” strategy also in Lanka. They promoted rivalries among feudal nobles and divided people along race, language and nationality. They favoured anyone who was willing to support the continuation of the colonial rule in whatever means possible. The resistance against the colonial rule culminated in the form of 1818 and 1848 uprisings in the south, but in front of the superior economic and firepower of the colonials those uprisings failed. Representation in the Ceylon Legislative Council was communally based with the leaders representing their own ethnic groups. This was a time of Buddhist and Hindu revival mainly in reaction to Christian missionary activities leading to conversions. During the first two decades of the 20th century, Sinhala and Tamil political leaders worked in harmony. In 1919, Sir Ponnambalam Arunachalam managed to bring together the Ceylon Reform League, the Ceylon National Association and the Jaffna Association to form the Ceylon National Congress (CNC). The CNC demanded the colonial rule to allow more constitutional reforms. 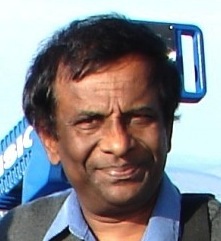 Sir Ponnambalam Arunachalam was appointed representative of both Sinhalese and Tamils in the Legislative Council. However, the British governor encouraged communal representation and created a single seat for Colombo. Both the Sinhalese and Tamils wanted this seat for “communal representation.” Tamils strongly opposed the Governor’s decision and felt that Sinhala politicians connived with the Governor to prevent a Tamil being elected from the Western Province at the 1921 Legislative Council election. This led to a division between Sinhala and Tamil political leaders and the division continues to this date. Bandaranaike government enacted the Social Disabilities Act 21 of 1957 to prevent caste discrimination among Tamils; This Act allows equal rights to all Tamils regarding school admissions, employment, entry to restaurants, places of worship and public cemeteries, use of water and wearing clothes etc. 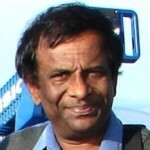 ; The Western educated, English-speaking, high caste Tamil politicians did not want to lose their positions of power, and the English-speaking Tamils holding senior positions also did not like it; Caste-based discrimination is very much alive in Jaffna: high caste Tamils discriminate against low caste Tamils. In Sri Lanka, Tamils are not the only community that are subjected to discrimination based on caste. Many Sinhala Buddhists are also discriminated because of their socio, economic and cultural background, where caste has been a major factor. Tamils have been discriminated against by the majority Sinhalese simply because they are Tamils, not because of their caste status. Sri Lanka was heir to many cultural and historical traditions, which are at variance with the constitutionally defined parliamentary political institutions. For many years family and caste have been major factors in determining the leadership and candidature of political parties. Ethnicity, religion and caste have been traditionally the main determinants of one’s political career both in the Sinhala and Tamil communities. For the feudal elite, caste was as least as strong an imperative as religion and ethnicity. Many castes in Sri Lanka have their origins in India. The Mahavamsa refers to the thousand families of the service caste sent by the king of Madura to help in the colonisation. Caste tension in the south arose due to attempts to break the stranglehold of certain dominant castes had on jobs, wealth and political power. Rural youth in the south qualified in Sinhala, Buddhism and Pali, but lacking English proficiency, social skills and an ‘appropriate’ class or caste background were at a distinct disadvantage in finding employment. As caste is a feudal vestige remaining from the feudal social value system, only the full realisation of democracy can hope to wipe out its continuing influence. The Kandyan Peasantry Commission in 1951 stated that as a first step in the fight against caste, it is necessary to abolish service tenures. The Sanga, Veda, Guru, Govi, Kamkaru alliance was a Sinhala multi-caste alliance led by the Mahajana Eksath Peramuna (MEP). It had many leaders who had come from disadvantaged backgrounds who were discriminated against due to their castes. Even then, such backgrounds were made use of for political advantage depending on the social constitution of a particular electorate. Some offensive social practices have, however, disappeared since then, despite the growing cultural and economic divide. The caste and class divide have infected Sri Lankan politics from the colonial era. The political independence of 1948 seems to have not mobilised any significant resistance to caste based discrimination. The post-1956 politics with Sri Lanka Freedom Party gaining power for the first time did not acknowledge the caste interaction in political careers. Though oppressed castes in the south have not overtly revolted against their oppression, the leadership of N Shanmugathasan and his comrades of the Ceylon Communist Party (Peking wing) ought to be credited for the struggles in the north against caste discrimination in the sixties. Caste dominance used to be exercised through local kovils and their environs; kovil has been associated with caste, power, prestige, resentment, and the periodic struggles to control the temples. In the south, left-wing politics of the sixties, were more to do with struggles for workers’ rights and building up their class consciousness. During the armed conflict, in the areas under the LTTE control, they had “imposed a kind of censorship on the caste system, identifying it as an obstacle to a unified Tamil ethnic homeland” that they sought to establish. The LTTE action has not eliminated caste discrimination altogether, but has driven it underground. However, no one appears to be prevented from entering Hindu temples, restaurants or schools any more. However, in the Tamil Christian community, they do not appear to have ever prevented anyone from entering their Churches or schools due to caste reasons. But new forms of caste discrimination appear to have emerged that is politically manipulable at times. The long-term internally displaced are said to have been simultaneously subjected to caste, class and ethnic pressures of various kinds. Subsection 2(1) of the Prevention of Social Disabilities Act, No. 21 of 1957 refers to “Any person who imposes any social disability on any other person by reason of such other person’s caste shall be guilty of an offence. ” In other words, this Act enacted by the Bandaranaike government was not only particularly intended to outlaw caste-based discrimination among Tamils, as Dr Godahewa mentions, but also to prohibit discrimination against anyone based on their caste, including preventing other persons from being engaged in any unlawful employment, as stipulated under Subsection 3(xi). Despite this Act, the post-independent Lankan state never took up the fight against caste-based discrimination either in the south or in the north. Caste considerations have clearly interfered with equity of access in areas such as, education, healthcare and client service in all parts of the island. In the south, caste-based discrimination within the major political parties was openly talked about, but no proactive steps were taken to prevent it. Prominent political personages such as C P de Silva, Colvin R de Silva, Asoka Karunaratne and late President R Premadasa had to suffer due to their caste background. Despite them holding Ministries and even the Presidency, they lived in constant fear of being cunningly toppled at any moment due to their caste status. In the north and east, feudal vestiges have continued to be strong due to lack of industrialisation, harsh agricultural conditions, and a dogmatic adherence to historical and religious etiquettes. The north is devoid of industrialisation and its modernising influences. So, identity came to be expressed through status, custom, religion and language. Linked to this are the control of land and the preservation of social privilege. Caste remained the social glue, with every individual ensuring vital social functions and rituals were performed by defined groups so that society as a whole could function harmoniously. It was not until a few decades ago that non – Vellalas had to bow before Vellalas; could not enter their temples or participate in religious and social rituals. Untouchables were not allowed to buy land and were expected in many cases to not only ask permission to marry, but live in servitude to their caste superiors. The elected Tamil representatives were from the Vellala caste and upper middle-class. Their analysis of the national question was limited to language parity. Aspects of economic development and upliftment of the untouchables did not matter to them. Their disdain towards Malaiyaha Tamils was also pretty evident. Malaiyaha Tamils and indigenous Tamils have differing histories, political representatives, traditions, class and caste differences. The majority of Jaffna Tamils had only secondary schooling and 21.6 per cent had no schooling at all. A large number of landless scheduled castes had to eke out a miserable existence on an inhospitable terrain. The illiteracy rate for Malaiyaha Tamils who historically have produced the wealth of the island was 43.58 per cent. Yet, these people are the most forgotten and downtrodden people in the society. Even political organisations representing Malaiyaha workers appear to be caste oriented in their activities. They have been part of the coalition regimes in Sri Lanka since the seventies. As elsewhere, in the plantations also increased ethnic mobilisation has silenced any discussions in public domain about the implications of caste based discrimination. The “urban sanitary worker communities” established by the colonial rule was unambiguously caste based. The Malaiyaha workers brought to work in the estates under squalid conditions have been treated as outcasts for several centuries. They have been made to subsist as one of the most disadvantaged and voiceless people in the country, and treated as if they were perpetually destined to do menial work. This is a blatant discrimination of a people; all because their ancestors were brought in by the British from neighbouring India. Stratification of society based on castes was not attributable to or characteristic of the Tamil society alone. According to reports, about 90 percent of people in Sri Lanka recognises caste for one reason or another. Although caste demarcations can be said to have blurred in the south of Sri Lanka, caste based discrimination still exists. Such demarcations are still dominant in the north and east. Increasingly in the south, wealth and political power appear to have become main influencers, pushing caste factors to a secondary place. Despite Dr Godahewa’s assertion that the Bandaranaike government enacted the Social Disabilities Act 21 of 1957 to prevent caste discrimination among Tamils, the whole Sri Lankan society including Sinhalese, Tamils and Malaiyaha Tamils – has collectively become blinded and anaesthetised from experiencing the painful, depressing and disadvantageous effects caused by caste based discrimination. The continuing nationalist mobilisations and the resulting social divide merely serve to mask forms of gender, caste and class inequalities which are widespread and entrenched in the Sri Lankan society. And sadly, many communities are still subjected to multiple layers of discrimination due to their class, ethnicity and caste. Gunawardana, R.A.L.H. 1990. The people of the Lion: the Sinhala identity and ideology in history and historiography. In Spencer, op. cit. 54. Whitaker, M. P. (1990). A Compound of Many Histories: the many pasts of an east coast Tamil community. In Spencer, 155 to 159. Silva K T, Sivapragasam P P and Thanges P 2009, Caste Discrimination and Social Justice in Sri Lanka: An Overview, The Indian Institute of Dalit Studies. The Committee for Rational Development 1984, Sri Lanka: myths and realities, In Race and Class July 1, 1984, 26 (1), 139-157 and quoted in Cooke M C 2011, Rebellion, Repression and The Struggle for Justice in Sri Lanka: The Lionel Bopage Story, 271, Agahas Publishers Pty Ltd, Sri Lanka. If Bandaranayake had brought in Ethnic disabilities Act (Discrimination act) along with Social Disabilities Act he would not have been able to bring in SINHALA Only act. Of course there are others politicians who would not have hesitated to withdraw the act like withdrawing Section 29, of the first constitution. Dr. Bopage! your in depth analysis and answer to Godaheva is very much appreciated.,especially as a Sinhalese. If we could find a few more Sinhalese like you and Wickemabahu Karunaratne Srilanka will be a BED OF ROSES with REDUCED number of THORNS, which could be easily blunted.